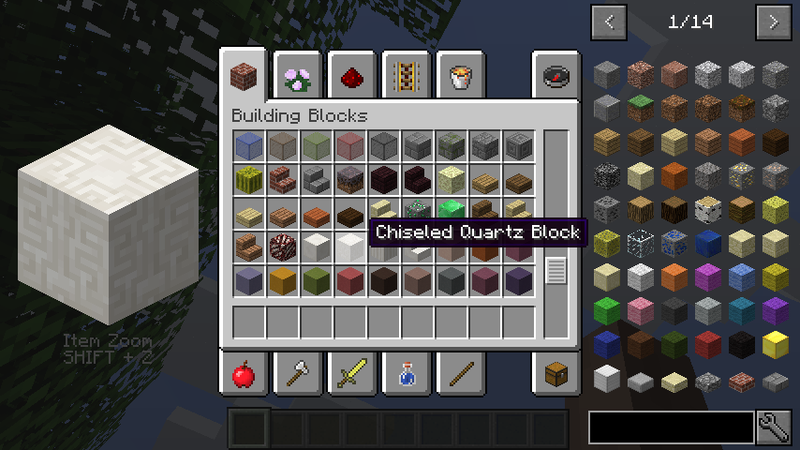 This client-side mod shows a big version of whatever item you hover over. Great for builders looking for the right materials! 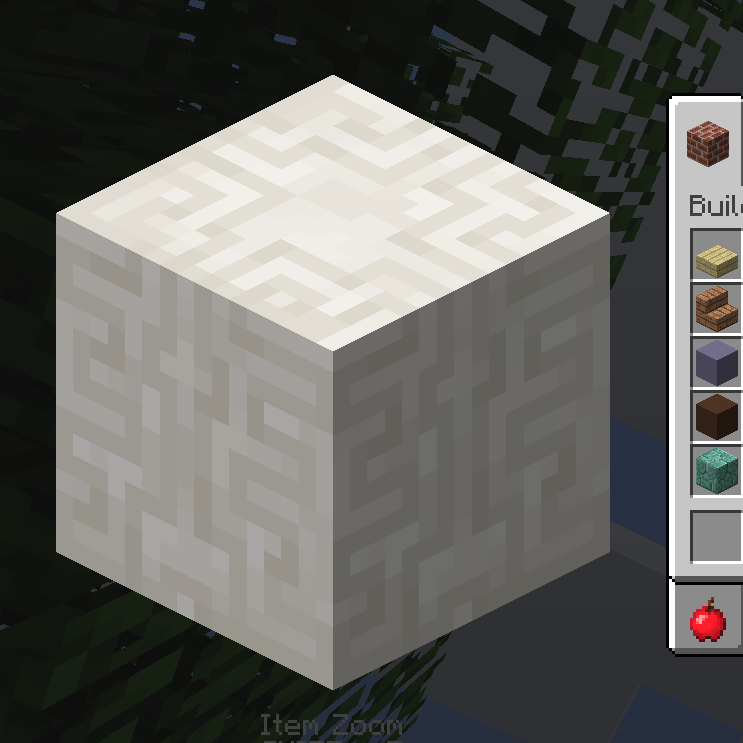 By default you can toggle it on and off with Shift + Z, which can be changed in the Minecraft controls. There is also an unmapped keybinding you can use if you want to hold a button down to make it display. You can change the zoom amount in the config or by setting the hotkeys for Zoom In and Zoom Out.